Yang Fukui (1799-1872) styled himself Luchan, a native of Yongnian, Hebei, is the founder of Yang Style Taijiquan. When he was ten, he went to Chen Jia Gou (Chen Family Village), Henan, to be a servant in Chen Dehu's home. At that time, Chen Changxing, an important descendant of Chen Style Taijiquan, was teaching Chen family members at Chen Dehu's home every evening. For reasons lost in history, he accepted Yang Luchan as a student. This decision broke with the tradition of never teaching non-family members. In 1850, Yang Luchan returned to Yongnian. A few years later, he moved to Beijing. He became very well known for his taijiquan and was often referred to as "Yang, The Unbeatable." Members of the Imperial Family invited him to teach them taiji. Honoring the traditions, he did not teach Chen Style Taijiquan. He created his own style, based on the Chen Style. The sets of taiji he created have been continuously developed by his sons, grandsons, and disciples into today's well-known Yang Style Taijiquan. 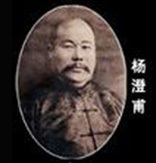 Yang Banhou (1837-1892), styled himself Yang Yu, was one of Yang Luchan's sons. He was born in Yongnian, Hebei. Although he is not a direct person in Master Cui's lineage, he is very important in taiji history. He began learning taijiquan from his father at an early age and became very skilled. Then he learned Wu Style Taijiquan from Wu Yuxiang. He read "Taijiquan Manual," written by Wang Zongyue. When he was nineteen, he moved to Beijing and chose a place in Xianger Lane where he taught taiji. Later Yang Luchan joined him in Beijing. Yang Jianhou (1839-1917), also known as Yang Jian, was born in Yongnian, Hebei, and was a son of Yang Luchan's. Like his older brother, he studied taijiquan with his father from an early age and was very skillful. He went to Beijing with his father to teach. During that period, he followed his father's teachings closely. He had many students. In order to meet the needs of practitioners, he developed middle frame Yang Style Taijiquan. This helped promote the popularity of Yang Style in Beijing and throughout China. Yang Chengfu (1883-1936), also known as Yang Zhaoqing, was a native of Yongnian, Hebei. 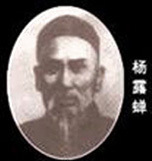 He was Yang Jianhou's son, Yang Luchan's grandson. Building on the taijiquan sets that he learned from his family, he developed large frame Yang Style Taijiquan. During his early days of teaching, his classes were at the Beijing Sporting Research Society. In 1928, he made a circuit of Nanjing, Shanghai, Hangzhou, Guangzhou, Hankou, and other places. Several of his disciples, including Cui Yishi and Wu Huichuan, joined him for this trip. Yang Chengfu had many disciples, some very famous, including Cui Yishi, Li Yaxuan, Wu Huichuan, Fu Zhongwen, Dong Yingjie, Niu Chunming, and his sons, Yang Zhenming, Yang Zhenji, Yang Zhenguo, and Yang Zhenduo. 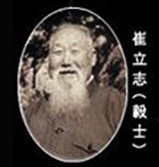 He wrote two books, "Taijiquan Usage" and "Taijiquan Physical Movement Manual." Cui Yishi (1892-1970), named Cui Lizhi, he styled himself Yishi. Born in Renxian, Hebei, he began training with Yang Chengfu in 1909 and remained with him, becoming a disciple and 4th generation lineage holder of Yang Style Taijiquan. In 1928, he joined Yang Chengfu on his trip through China, assisting as a teacher. 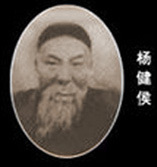 From Yang Chengfu's death in 1936 through 1945, he traveled alone, teaching taijiquan in many places including Nanjing, Wuhan, Xian, Lanzhou, Bangbu, Wanxian, Guangzhou, Shanghai, and other places. 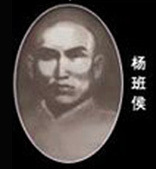 His training brother, Fu Zhongwen also developed a reputation as a teacher. The two were often referred to as "Cui of the North, Fu of the South." 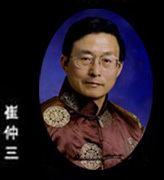 After liberation, Cui Yishi was the Commissioner of The Beijing Wushu Association. He was also head of the Yongnian Taijiquan Society, which he established in Beijing just after liberation. He taught taijiquan in Zhongshan Park, where he had many students. Cui Yishi practiced and researched Yang Style Taijiquan throughout his life. He was well known for his skill, especially pushing hands. Because he taught taijiquan with his own characteristics, it was often known as Cui Taijiquan. In 1964, he created new sets of taijiquan. He wrote "Simplified 42 Movements of Yang Style Taijiquan" and "Yang Style Taiji Stick," further developing Yang Style Taijiquan. By the time of his death in 1970, he had become well known as an important representative of Yang Style Taijiquan. The word “taiji” has been traced back to the I Ching (Book of Changes), Taoist philosophy written during the Zhou Dynasty, 1100-221 B.C. “Taiji,” as with many Chinese words, is difficult to translate literally into English, but it carries the meanings of absoluteness, completeness, supremeness, and the unity of opposites. In its simplest form, the concept proposes that opposing forces in nature cannot exist without each other. For example, without night how can we understand day? Furthermore, not only does one force give the other meaning, there is also constant cyclical movement from one to the other. This concept gives rise to the Yin-Yang symbol. Yang (stronger, lighter, growing) forces become Yin (weaker, darker, receding) forces, which return to Yang forces. When Taijiquan actually began and who created it has not yet been discovered. There are many theories about its origins. Many people believe that Zhang Sanfeng created taijiquan during the late Song Dynasty (960-1279 A.D.). Others hold that it was part of the exercise practiced by Taoist monks at Wudang Mountain. Because of written documents of the Chen Family, we know that General Chen Wangting practiced taijiquan during the late years of the Ming Dynasty (1368-1644). Yang Style Taijiquan, practiced by Mei Zhong students, was developed from Chen Style. Yang Luchan (1799-1872) was, as far as we know, the first non-Chen family member to learn their taijiquan. Again, many myths and legends surround Yang Luchan's relationship with the Chen Family. Nevertheless, he learned taijiquan from Chen Changxing. He became quite famous as a martial artist and because of his skills was known as "Yang the Unbeatable." He eventually moved to Beijing. Because of his skills, he was invited to teach members of the Imperial Family. He did not, however, teach Chen Style Taijiquan. Instead, he developed his own style to share with others. 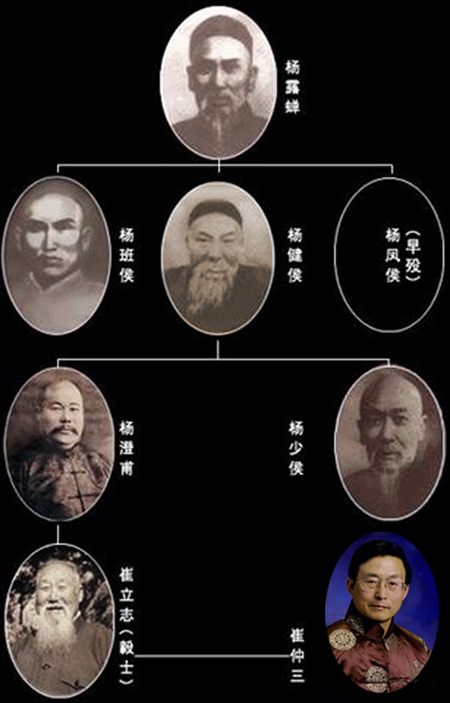 Keeping with tradition, Yang Luchan taught taijiquan to his sons, who taught it to their sons (lineage). In 1909, Master Cui Yishi began learning taijiquan from Yang Chengfu. He remained a devoted indoor disciple, assistant, and friend to Master Yang until Master Yang died in 1936. After Master Yang's death, many of his disciples continued to carry on the Yang Style lineage. Two of his disciples became very well known throughout China: in the South, Master Fu Zhongwen, and in the North, Master Cui Yishi. 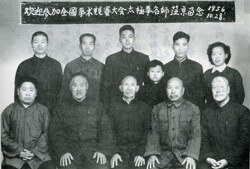 Today, the Cui branch of the lineage is continued through Master Cui Zhongsan, the little boy pictured above in the 1956 group photo. The history of Mei Zhong Yang Style Taijiquan Association, U.S.A. begins in 1995, when Master Cui Yishi's disciple and grandson, Master Cui Zhongsan taught at the World Taijiquan Conference in Beijing. Mei Zhong founder, Miriam Holland, attended Master Cui's classes at the conference. She was astonished by the depth and breadth of Master Cui's knowledge and his ability and willingness to share it. She arranged to return to Beijing in October, 1996, to study again with Master Cui. At the conclusion of three weeks of intensive training, Master Cui asked her to return to America and teach. On January 12, 1997, she offered the first Mei Zhong class.